Ted was born in San Francisco and raised in Westlake, Daly City. He attended Our Lady of Mercy Grammar School. After graduating from St. Ignatius College Preparatory he attended San Francisco State University majoring in Acting with a Musical Theatre effaces. During college, Ted worked at St. Ignatius as the resident Choreographer. Following college, he traveled the world, performing professionally in Europe, Asia, South America, North America, and Africa. This is when he met his wife, Kathleen. They settled in Los Angeles where Ted continued to act, sing and dance professionally in film, television and on stage. After the birth of their first child, Ted came back to San Francisco to open his own production company, T.K.C. Productions, focused on interactive, theatre and was critically acclaimed throughout the Bay Area. After eight successful years, he closed T.K.C. Productions to become the Managing Director of Contra Costa Musical Theatre, Contra Costa's premiere musical theatre company. It was during this time that Ted came back to S.I. to direct the spring musical, "Pippin." He remained at S.I., and in addition to teaching dance and acting, he has also taught speech, been in charge of the liturgy choir and has run the freshman, sophomore and junior retreat programs. 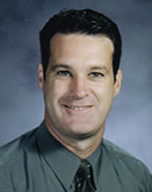 He became the Student Activities Director in 2004. For over twenty years, Ted has directed, Children's Theatre, High School Theatre, Community Theatre, Regional Theatre and Professional Theatre. His directing, has been nominated and won Bay Area Theatre Critics Circle Awards, Solano County Artie Awards, and Contra Costa Shellie Awards. Ted has also been nominated and won for his acting and continues to act in various productions throughout the Bay Area. He has taught acting, dance and speech for over twenty years. Presently, he teaches "Acting in Action" to grade school kids throughout the East Bay. Ted has served on many boards and committees, including the Arts in Tourism Committee for the S.F. Convention and Visitors Bureau, and the Casting Directing Panel for Theatre Bay Area. Ted resides in Walnut Creek California with his wife and two sons.